The Official KDE-US Yu-Gi-Oh! TRADING CARD GAME Tournament Policy includes an update to Card/Hand/Deck Verification which has caused some confusion among Duelists. We’d like to provide guidance on the most commonly asked questions about this section, and the impact it has on the cards people play. “With the exception of cards selected by a search effect, you may not search or verify any of your opponent’s Private Knowledge locations, such as hand, Deck contents, or face-down cards; unless you are otherwise directed to do so by a card effect. 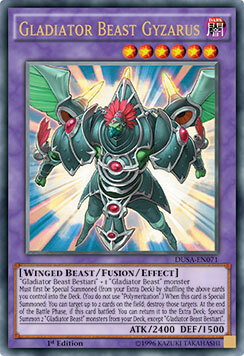 In previous versions of tournament policy, there were certain scenarios that granted a player the option to look through the opponent’s entire hand, Deck, and/or Extra Deck to verify that either the player’s card effect was resolved correctly or that the opponent’s card effect could not be resolved correctly. Player A activates Mind Crush, naming Elemental HERO Stratos. Player B says they don’t have it in their hand. Player A, under previous tournament policy, could look at Player B’s entire hand to verify that this is the case. 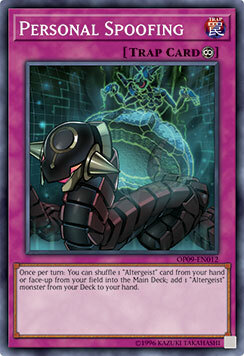 Player A activates Lullaby of Obedience naming Cyber Dragon. Player B looks through their own Deck, as per the text of Lullaby, and says they don’t have it. Player A, under previous tournament policy, could look at Player B’s entire Deck to verify that this is the case. Player A activates Reinforcement of the Army, however upon resolution discovers there are no Level 4 or lower Warriors in the Deck. A judge is summoned, the Procedural Error – Minor is dealt with, and then, under previous tournament policy, Player B could look through Player A’s entire Deck to verify that this is the case. Player A activates Invocation, intending to Fusion Summon by banishing appropriate materials from the GY. Player B Chains with the effect of Artifact Lancea, so Invocation cannot banish cards from the GY at resolution. Player A must still Fusion Summon if possible using cards from hand, but states that they have no legal Fusion Summons available. Player B, under previous tournament policy, could look at Player A’s hand and Extra Deck to verify that this is the case. 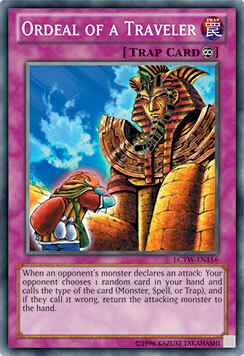 This led to situations where Duelists would use Mind Crush as means to view their opponent’s hand, or Lullaby of Obedience to look through their opponent’s entire Deck. Artifact Lancea would not only prevent a Fusion Summon, but also give the user perfect information of the opponent’s hand and knowledge of every Extra Deck monster they had access to. It also caused situations where a player making an honest mistake when activating a search effect would be punished twice for doing so, receiving both a Warning penalty for the Procedural Error as well as the disadvantage of their opponent getting to see their entire Deck. None of these cards have an effect that allows you to view these Private Knowledge areas, but the previous policy led to players using these cards as if they did have those effects, and a policy meant to ensure cards were being resolved correctly became a means to gain an unearned gameplay advantage instead. These cards were not designed to let players see what cards an opponent runs in their Deck or determine which cards they currently have in hand. The new policy removes instances in which a player could request to view entire Private Knowledge locations of the opponent without a card effect granting that privilege. It does not remove the requirement to show that you are using the correct card(s) or kinds of card(s) to pay costs, use as material for Summons, resolve your own card effects requiring cards with specific characteristics or statistics, etc. Personal Spoofing requires you to shuffle an “Altergeist” card into the Main Deck as a cost, and on resolution you add an “Altergeist” monster from your Deck to your hand. You will show both the card being shuffled into your Deck and the monster being added to the hand to your opponent. This scenario remains unchanged between both the old and new versions of the policy. You must show that you are using cards with the correct characteristics or statistics to resolve your card effects. 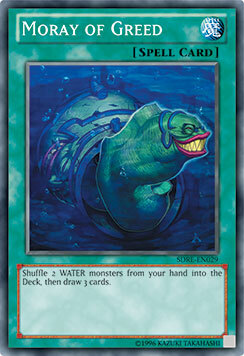 Moray of Greed requires you to shuffle two WATER monsters from your hand into your Deck. If you want to resolve cards like Moray of Greed, you still need to show the two WATER cards to your opponent. This is not the same as the opponent viewing your entire hand even if the only two cards left are the two WATER monsters, so this scenario remains unchanged between the old and new versions of the policy. Let’s change the scenario a bit and say that your opponent Chains Trickstar Reincarnation to your Moray of Greed, and upon drawing your replacement cards you no longer have 2 WATER monsters in hand and cannot resolve your effect. Since you can no longer resolve the effect, nothing further happens and your opponent cannot request to view your entire hand to verify that this is the case. This scenario IS different from the old policy. You won’t be put at an extra disadvantage due to random chance. You must show that you’re using the correct cards as material for a Summon. You can use face-down monsters to Summon Gladiator Beast Gyzarus, but you must show that the face-down cards you’re returning to your Deck are Gladiator Beast Bestriari and another “Gladiator Beast” monster. This scenario remains unchanged between both the old and new versions of the policy. Ordeal of a Traveler requires the opponent to choose 1 random card from your hand and guess if it is a Monster, Spell, or Trap. The characteristics of this 1 chosen card from your own hand must be known to determine the correct resolution of your own effect, so you must show it to your opponent. This is not the same as your opponent viewing your entire hand, even if your hand consists of only that one card, so this scenario remains unchanged between both the old and new versions of the policy. We hope this settles the confusion regarding these kinds of cards, and we encourage you to read through the complete tournament policy document. There is a lot of information in it that you really need to know, in order to properly prepare for a tournament.